That’s typical Thanksgiving dinner conversation, right? On second thought, maybe bringing up the end of someone’s life isn’t on the list of of topics for a happy family gathering around a 24-pound roasted turkey. Traditionally, though, many families go around the dining room table, taking turns to say what they are thankful for this year. That can be a wonderful segue into beginning The Talk of a Lifetime. The Talk is one of the best gifts you can provide your family – and it doesn’t cost a thing. What is a life lesson you learned that you think would be helpful to pass on to the younger generations of our family? Fill in the blank: I was so proud after I _______ . What is the best advice your parents (or grandparents) ever shared with you? What is the one thing you would love people to remember about you most? Choose a unique, funny photo, and get the story behind that. Flashing back to the past can be so rewarding for everyone there. Think of the Talk of a Lifetime as an opportunity to help you get reacquainted with those you care about the most. It can open the door to everyone in the family learning about each other in new and different ways. Those last two topics above may even help you bridge to a more substantive funeral planning conversation. Since 68% of homes in the United States have a cat or dog in them, you can talk about plans for those fuzzy buddies. For example, consider including your pets as part of a funeral planning checklist. Bring up the concept of making funeral arrangements online. This can be a great way to engage the Millennials and Generation Z members of the family. Chat about the benefits of scheduling a free meeting with a certified pre-planning counselor. At Phaneuf, our counselors will provide you with a free Talk of a Lifetime card deck that features 50 questions that help you learn even more about your loved ones. 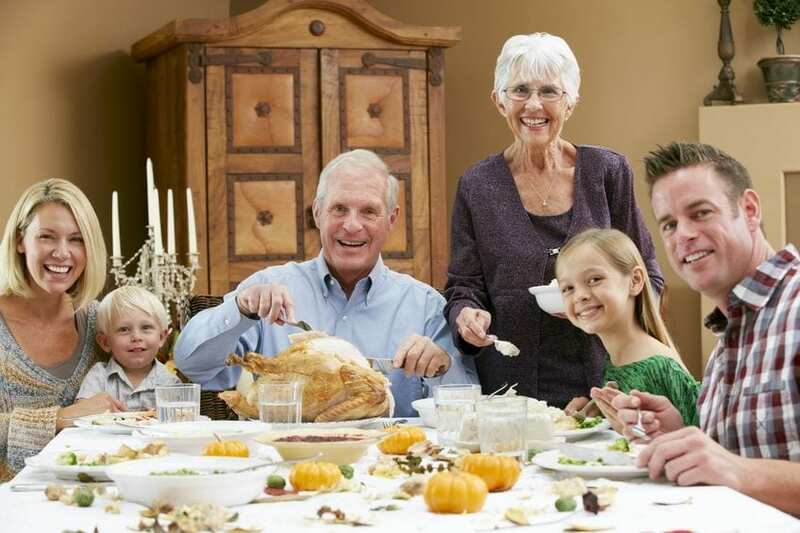 One thing you may quickly discover while having the Talk of a Lifetime at Thanksgiving is that most of us don’t have much of a solid concept around funeral planning, and many of us initially find it a morbid or uncomfortable topic. Having everyone together at a happy time like a holiday meal means you can get everyone thinking about the inevitable. There are multi-generations there, and while Great-grandpa already has a solid plan, his kids and their kids may have not begun thinking about things. Beginning a funeral plan doesn’t mean you are automatically prepaying. It’s an opportunity to have your wishes organized – and on paper. We have a free My Life My Wishes guide that can help you do just that. Then, you can leave your written wishes with all of your other important documents – and your family will know where to find them because you had that Talk of a Lifetime at Thanksgiving. You also may not be breaking bread with family on Thanksgiving Day, but getting together with dear friends is also an opportunity to begin talking about your wishes. This may also prompt those closest to you to begin thinking about having the Talk of a Lifetime with their own family members.. There really is no downside to having the Talk of a Lifetime. It even goes well with leftovers. Would you like more information about having the talk? 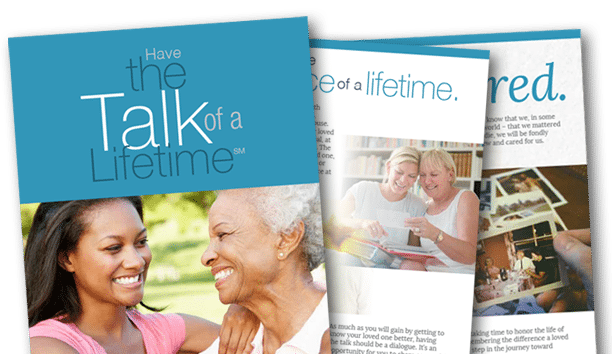 Get your FREE copy of Have the Talk of a Lifetime.